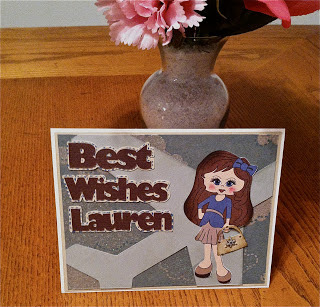 As you may have read in my latest post, I am now a designer for Paper Crafting World and will be designing and creating handcrafted greeting cards for this amazing company. I am so excited to be a part of this talented group of ladies. My daughter Madison has been a fabulous teacher and inspiration to me for the past four years and with her love, support, and encouragement, I feel that I have what it takes to spread my wings and give it a go. Trust me when I say these were never words I thought I would ever say. I did not believe I had one crafty or artistic bone in my body. But when you dig deep and allow yourself to explore your hidden talents you may be surprised at what you can accomplish! Take a look at several of the cards that I have made in the past few weeks. I will be growing as a designer as time moves on. For now I am pleased that I can post my work and share with you without being embarrassed. After all, I am stepping out of my daughter's shadow and that is one BIG shadow! 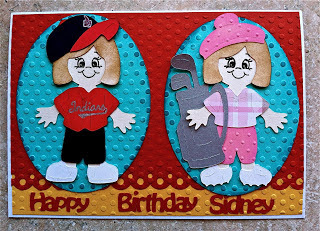 This is a birthday card for a 13 year old girl who works for the North County Indians and also is an amazing golfer! 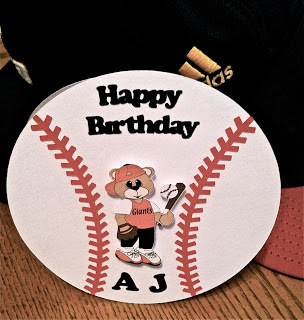 I made this card for my nephew A.J. 's birthday. The digi stamp is from Papercraftingworld. When my physical therapist's aide left for Georgia, I made her this card. She was such a sweetie. Look for cards starting in July every other Thursday, if not more frequently. I am really very excited about this new adventure. After all, I am more than a mother! Madison is an awesome crafty girl but so is her mother!!! I think you have always been crafty but never allowed yourself to know it. I love that you are apart of Melin's design group, you will be fabulous Cindy!! Your cards are beautiful!! I will be checking in MPC to see what is going on there and will miss designing with you fabulous ladies. But summer is just to darn busy! And this summer it is all about mowing every two days because all it is doing it raining here. lol Congrats Cindy can't wait to see what all you ladies do over at MPC!!! Hugs! Thank you Brenda! You are very kind. I am enjoying challenging myself and allowing the creative juices to flow. I have been inspired by women such as yourself. Thank you! Hugs back at you.